Were you arrested for driving under the influence? Get an experienced and aggressive Jacksonville DUI attorney. At the Law Offices of Jason K.S. 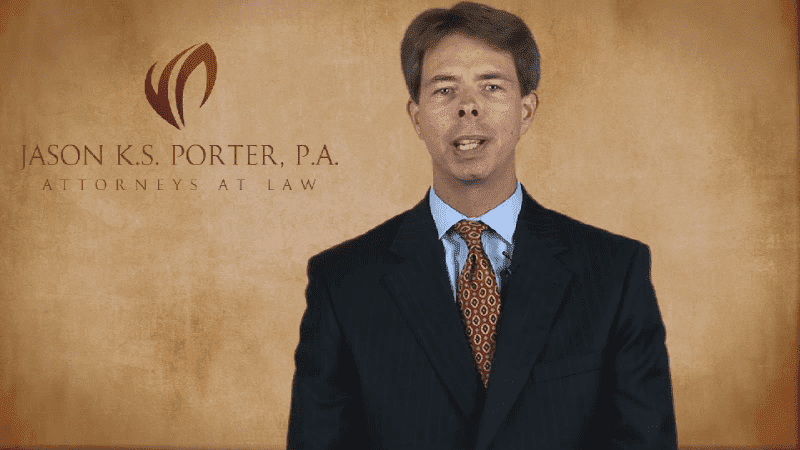 Porter, P.A., our proven defense team can provide sound advice and guidance to protect you from the maximum penalties. There is much at stake after one has been arrested for driving while intoxicated. A conviction can mean a suspended license, heavy fines and even imprisonment. The outcome of your case rests heavily on the attorney that you choose to represent you in your case. For this reason, we encourage you to give our firm a call as soon as possible. Why Choose us for DUI Defense? Our Jacksonville DUI lawyers can guide you through the criminal justice system and help you prepare for Florida's DMV administrative hearings to protect your driver's license. From start to finish, our attorneys will work toward a positive outcome that is always in your best interests. Over the years, we have developed skilled legal tactics that can serve to benefit your case. We also have three former DUI prosecutors on staff. As such, our lawyers are able to see a case from all angles and effectively fight back against your accusations. You could be facing serious penalties that could significantly alter your life, even for a first-time conviction. For subsequent offenses, you will face enhanced penalties, including higher fines, longer jail times, and even a felony DUI. There is a lot at stake and it is important that you call a DUI attorney in Jacksonville as soon as possible to learn more about your defense options. Penalties that can result from a DUI conviction are detailed under Florida law. These crimes fall under Chapter 316, detailing State Uniform Traffic Control. In its most basic definition, driving under the influence is when an individual operates a motor vehicle with a blood alcohol concentration (BAC) of 0.08% or higher. There are, of course, numerous other factors that could drastically change the DUI charges and possible penalties. Under Florida Law, it is illegal to drive when your BAC, or blood alcohol content, exceeds 0.08%. Your BAC levels are determined using various chemical tests, like a breathalyzer or blood test. Even if you are on the cusp of reaching 0.08%, you may still receive a DUI because of your impaired driving. An officer will perform a field sobriety test to determine if the amount of alcohol you have consumed affects your motor skills. Probable cause - Did the arresting officer have a valid reason or suspicion to pull you over? Breathalyzer accuracy - Breathalyzers are known to produce inaccurate results, are prone to human error, and can be influenced by many environmental factors. Personal medical issue - Many health conditions can affect breathalyzer results, including hypoglycemia, diabetes, or people who are on a high-protein diet. If you were arrested for DUI, do not lose hope. Our DUI attorney can analyze every aspect of your case, including the arrest, the blood/chemical test results, and whether proper police procedures were followed. We pay attention to the little details that can make a significant difference in the outcome of your case. With a DUI lawyer from our firm on your side, we can effectively guide you through the complex legal system with a powerful defense strategy. At the Law Offices of Jason K.S. Porter, P.A. we have extensive experience handling DUI cases and are knowledgeable about the latest strategies in DUI defense. With our aggressive representation, we can start building a case to help you receive the best possible outcome. Contact the Law Offices of Jason K.S. Porter, P.A. to discuss your charges with a DUI attorney in Jacksonville.